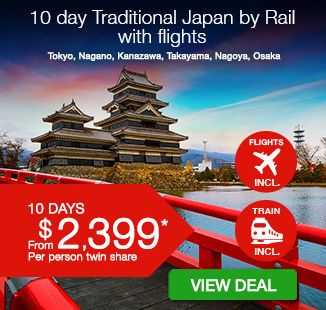 17 day Best of Japan by Rail including return international flights, accommodation, breakfast daily and more! 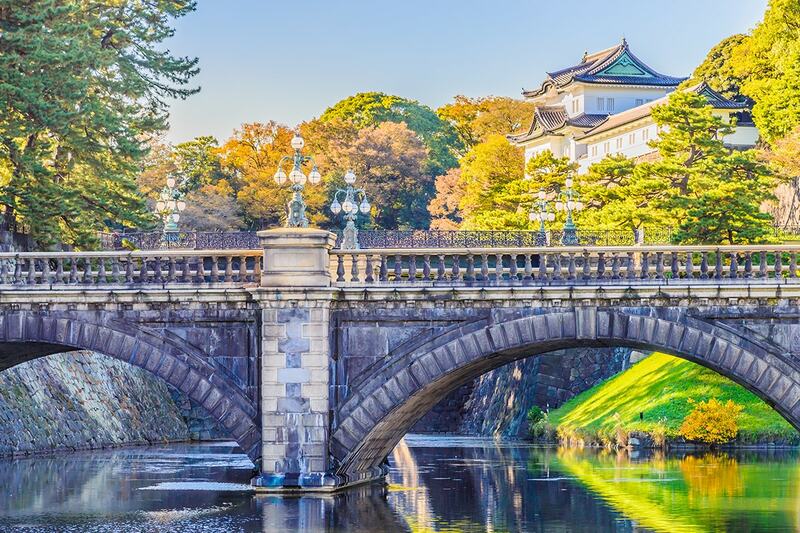 Experience Japan’s mesmerising beauty with the flexibility of doing it in your own style on this self-guided rail package! 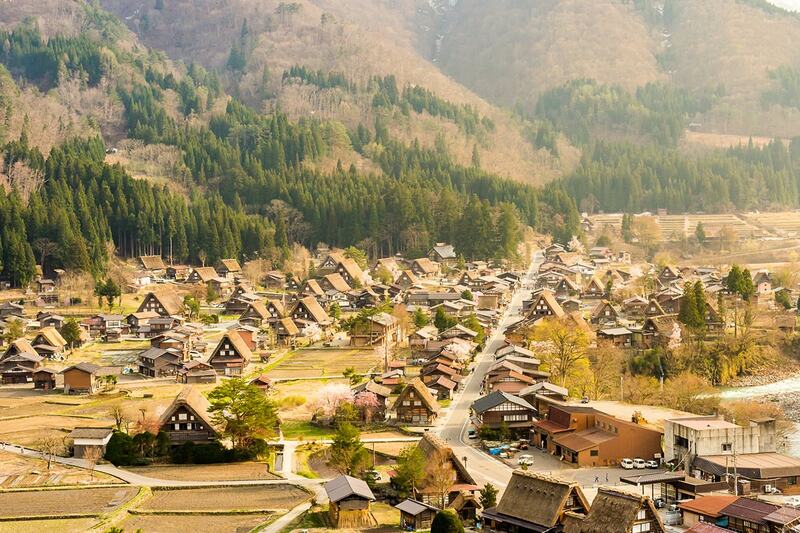 During this 17 day Best of Japan by Rail tour package, you’ll get to experience a ride on the famous Shinkansen bullet train, explore Kanazawa‘s ancient heritage and see gassho-zukuri farmhouses in Shirakawago. 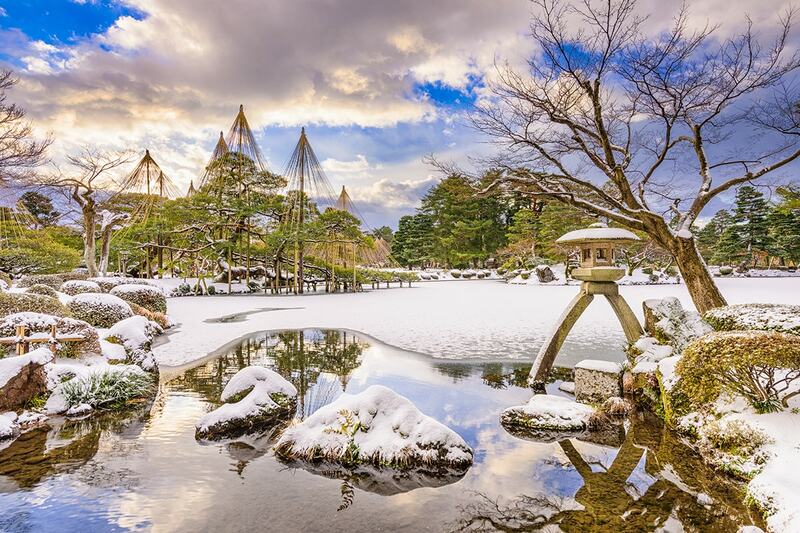 Find some traditional, local cuisine as you wander Osaka, Japan’s second largest metropolitan area, visit the stunning local deer at Nara Park, admire breath-taking temples in Kyoto, be awed by the powerhouse that is Tokyo and so much more! 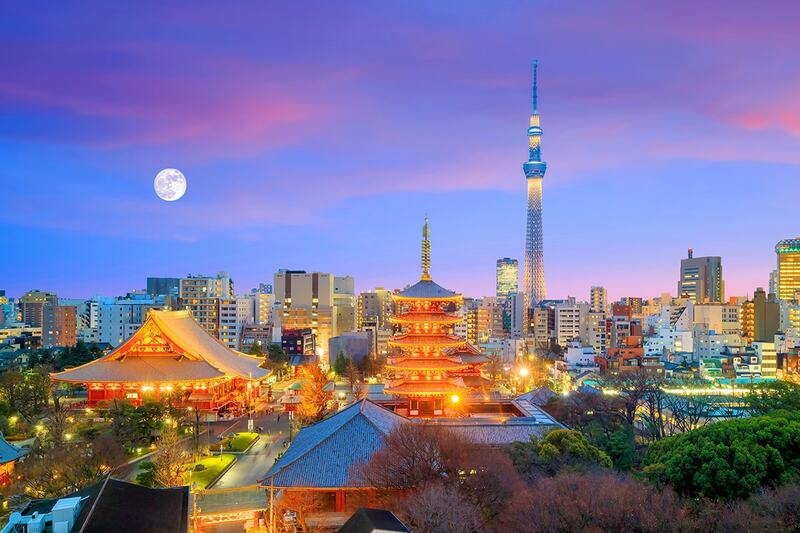 Your package include return international flights, accommodation, breakfast daily and more. Please note: You have been provided with a 14 day JR Rail Pass. Please do not activate your rail pass this day. 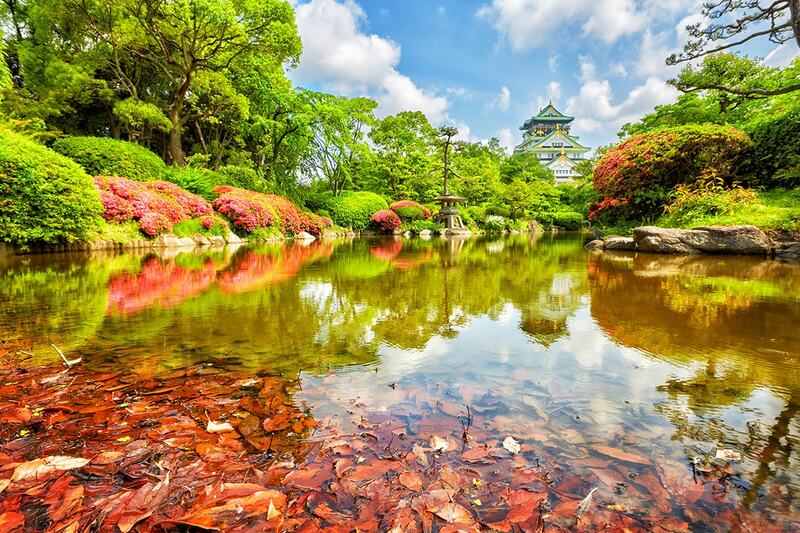 Today is free at leisure to enjoy Tokyo. This morning board the Shinkansen Bullet Train for Nagano to arrive by 8:30am. 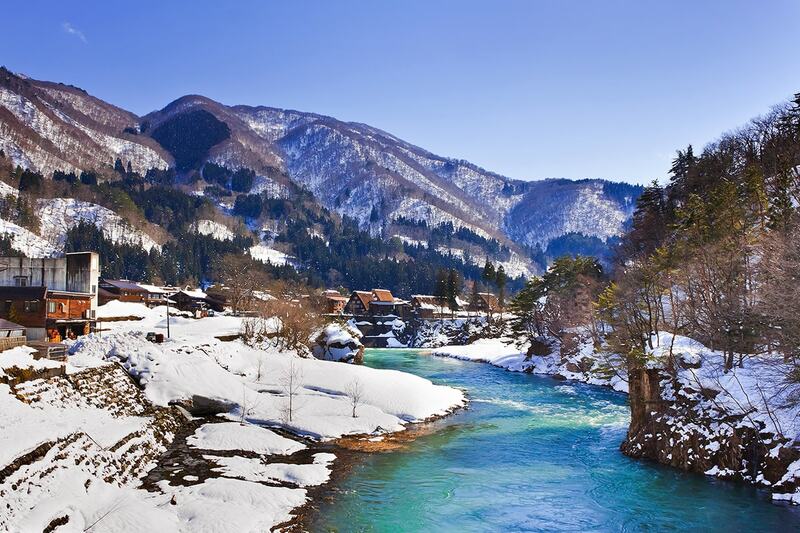 In the afternoon, take a bullet train to Takayama. 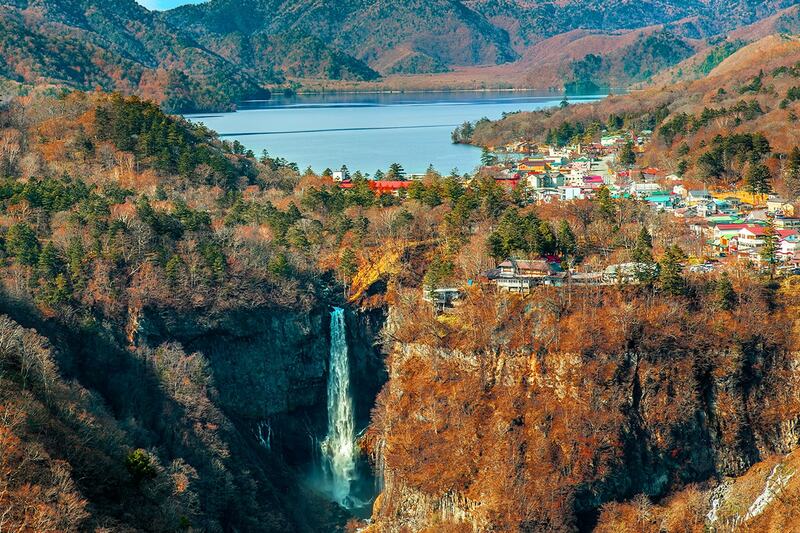 Takayama is a city in Japan’s mountainous Gifu Prefecture. 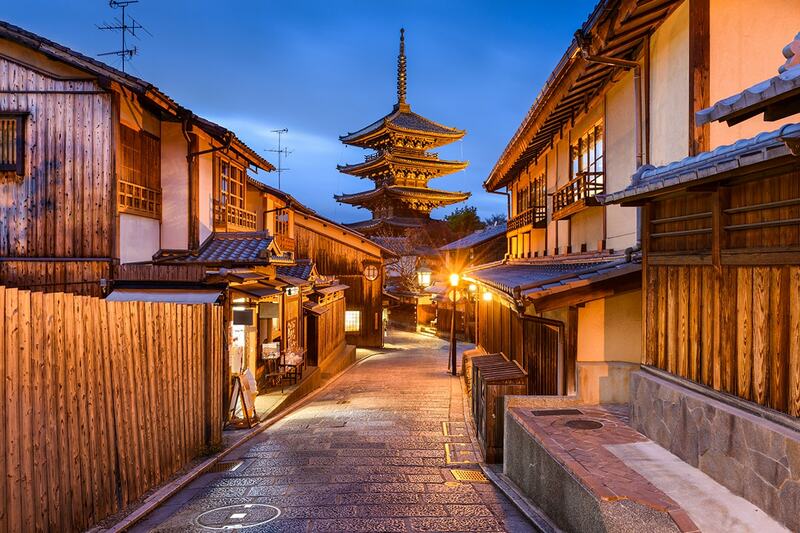 The narrow streets of its Sanmachi Suji historic district are lined with wooden merchants’ houses dating to the Edo Period. Today board the bullet train to the southern city of Nagoya. On arrival, the day is at leisure to explore the city at your own pace. Today there is free time before boarding the bullet train for the short trip to Osaka. 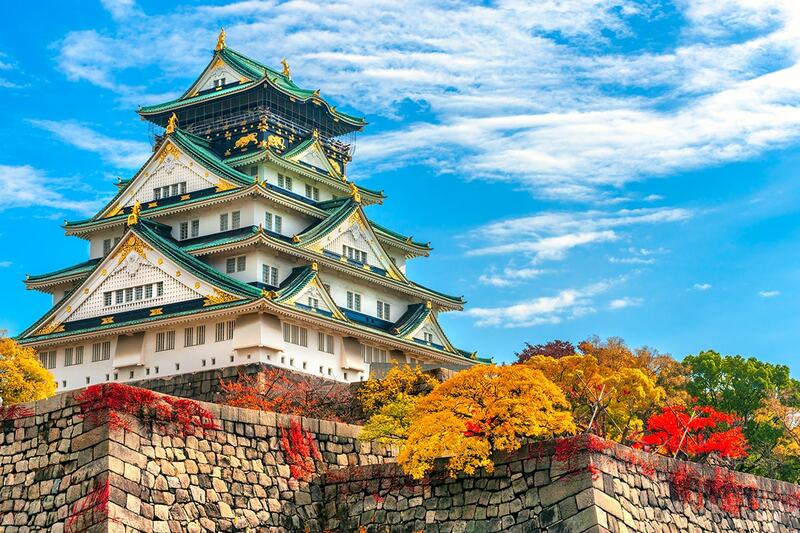 Today you are free to explore Osaka. 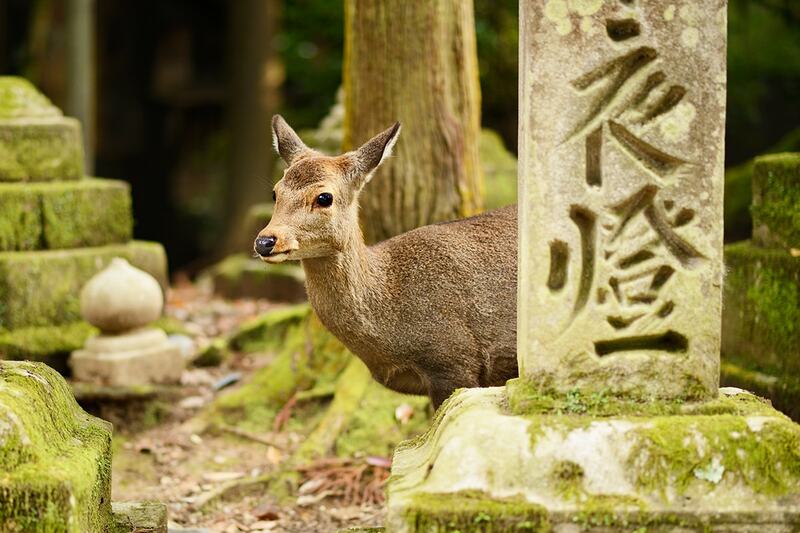 After breakfast, board the Rapid Express Train from Shin-Osaka to Nara. Board the train for Kyoto! 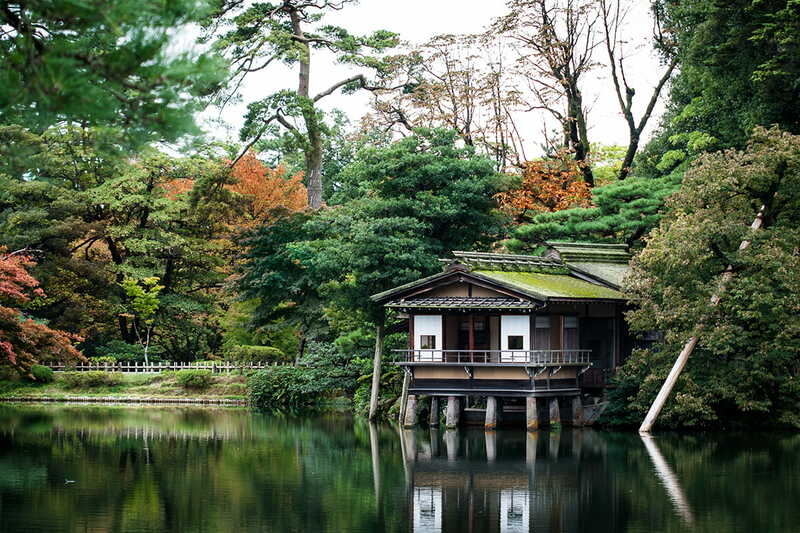 Kyoto attracts millions of visitors every year and it’s no wonder. 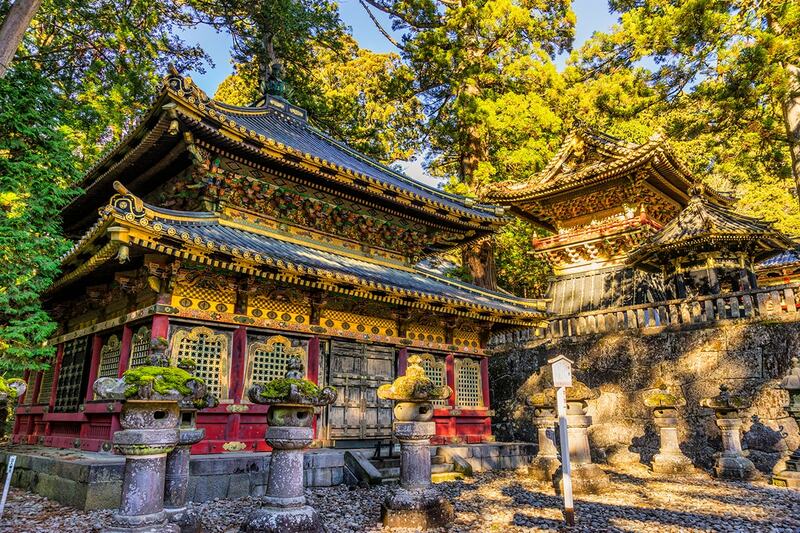 With over 1,600 Buddhist temples, 400 Shinto shrines, palaces and gardens, who wouldn’t want to visit? 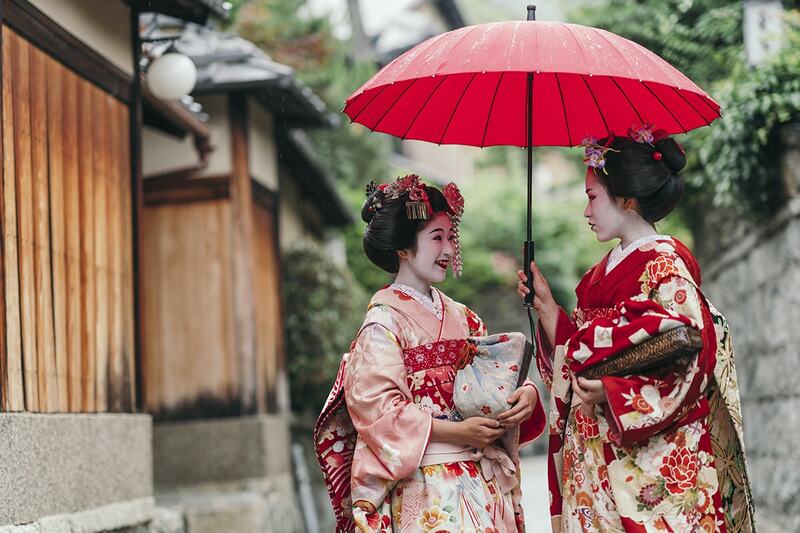 You might be luck enough to spot a Geisha in the old district. 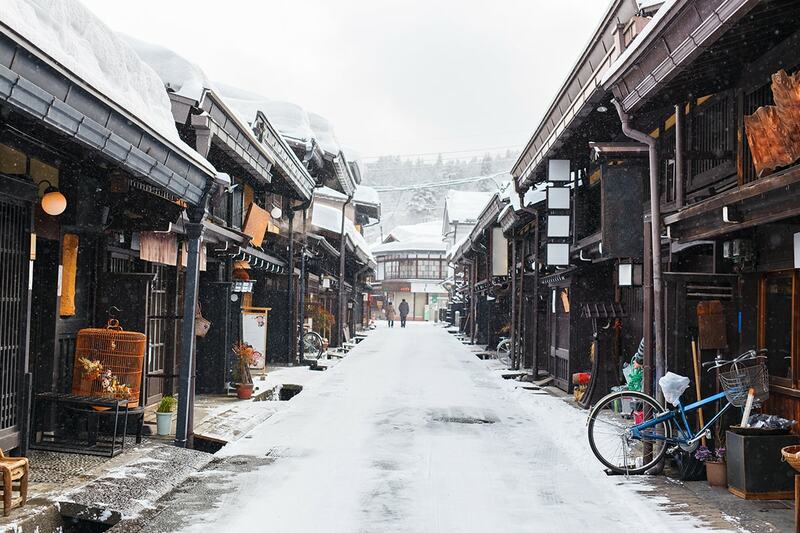 Today is a full day to explore Kyoto at your own pace. 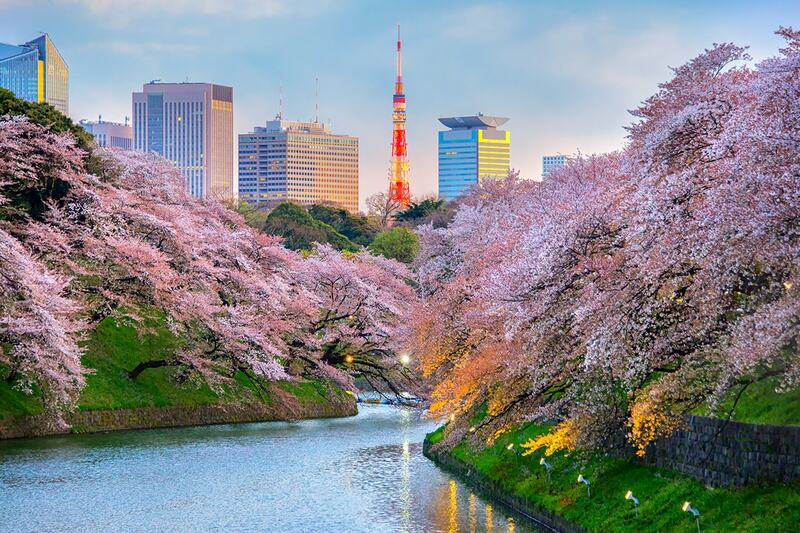 When ready, head back to Kyoto JR station to board the bullet train to the Mt Fuji region. 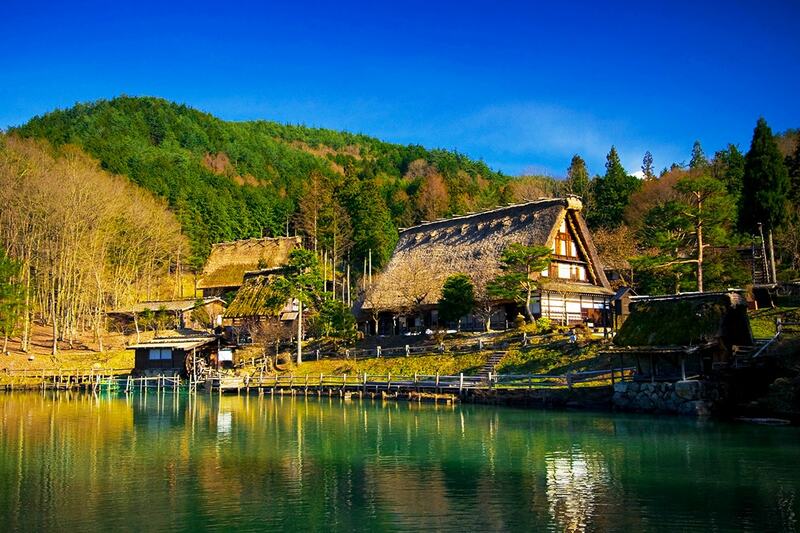 On arrival, make your way to your traditional Japanese hotel before enjoying the rest of the day at your own leisure. Today, board the bullet train towards Hakone. 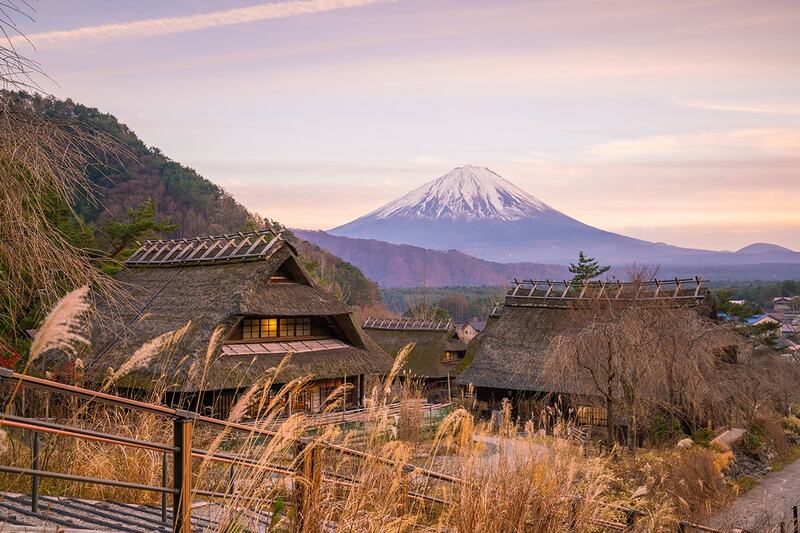 Tonight you are staying in the town of Mt Fuji area which gives you close access to the Mt Fuji area. On arrival into Mt Fuji area, the rest of the day is at leisure. 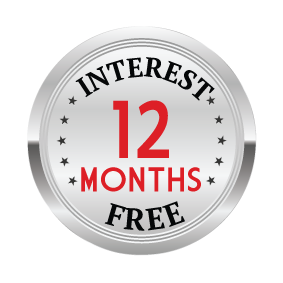 A deposit of $1,269 per person are due at the time of purchase in order to secure your date. 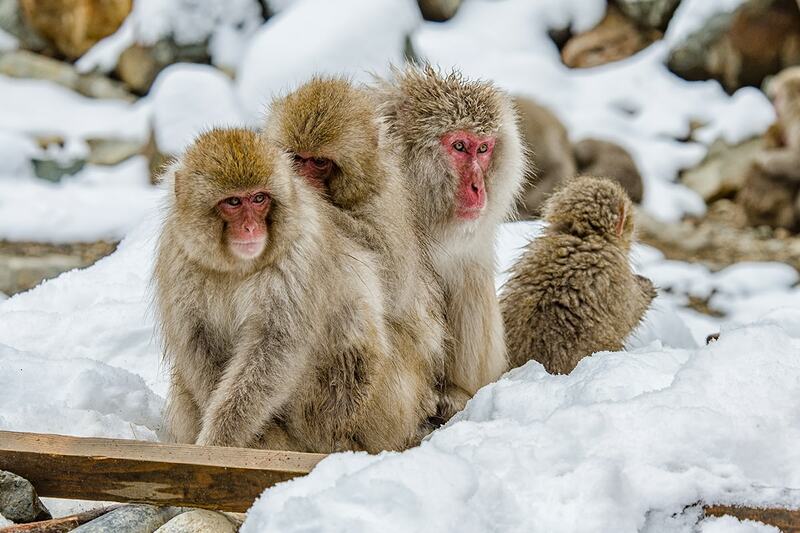 Please note: This is a self-guided (independent) tour. No escorted guide is included. 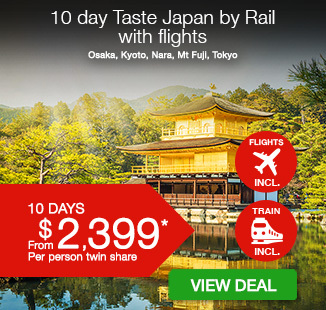 $1,400 per person in addition to the twin share voucher. Brisbane, Adelaide or Perth Customers – A $250 Interstate surcharges applies per person.